In a previous lesson I critiqued the style of parenting in which parents make decisions concerning their children based on the popularity of the decisions. Getting input from our children, and listening closely to what they have to say, is certainly wise, but we recognize that our authority as parents comes from an authority higher than our children, and even higher than us. Another parenting category may be called “monetary parents.” These parents tend to try to buy their children’s obedience, respect, or even love. The common parlance for this method is called “spoiling” your children. This is sometimes triggered by feelings left over from our own childhood that perhaps our parents were not as generous with us as we would have liked them to be. It helps to remember, as a counter to this temptation, that materialism breeds its own set of problems. Remember, your children are not an outlet for any lingering childhood resentments of your own, and you are not commanded in the Word of God (although you might be by society or pop culture) to give your children “all the things you never had.” Using bribery as a replacement for training, nurture, discipleship, and discipline is a recipe for rearing greedy, covetous kids. It is not wrong to give treats to our kids, and special presents from time to time, but it is wrong to rob them of the spiritual and practical disciplines of self-control and wise stewardship. Some of the poorest families I know are really the richest. Next time, we will take a look at a third problematic parenting category. 1. Life is vain because of its monotony. 3. Life is vain because of the limits of wealth. I gathered me also silver and gold, and the peculiar treasure of kings and of the provinces: I gat me men singers and women singers, and the delights of the sons of men, as musical instruments, and that of all sorts. So I was great, and increased more than all that were before me in Jerusalem: also my wisdom remained with me. And whatsoever mine eyes desired I kept not from them, I withheld not my heart from any joy; for my heart rejoiced in all my labour: and this was my portion of all my labour. Then I looked on all the works that my hands had wrought, and on the labour that I had laboured to do: and, behold, all was vanity and vexation of spirit, and there was no profit under the sun. You may have seen the bumper sticker that says, “He who dies with the most toys wins,” but this is not true. When you go to see God, you won’t be judged for how nice a boat you have, or how impressive your music collection was. The Apostle Paul described life as if it were a race, but that race is not a race to financial security. It is a race to become more Christ-like. The preacher in Ecclesiastes tells us that, not only can we not take it with us, but we can’t control it anymore after we’re gone. Some of the most agonized-over and detailed legal documents are wills and trusts. There is nothing wrong with wanting to provide for your family after you die, but when we spend so much energy trying to make sure our descendants have an easier time of it than we did, we might be doing them a disservice. Sometimes, working to achieve things for ourselves is how God makes us into who He wants us to be. 4. Life is vain because it has an end. We know that this is true only in a limited sense. The idea that we’re all going to die can be a depressing thought. It is one of the reasons why there is so much “escapist” entertainment. If we are not careful, we will focus so much of our time, our energy, our money, on entertainment, that we will not have anything other than shallow entertainment to offer the people we care about when we find them suffering. Movies, music, television, and pop culture are no substitute for Biblical comfort, counseling, and promises when someone is truly in pain. However, there is an opposite extreme to mindless entertainment that can also be vain. If we become so fixated on our own sorrows that they swallow us up, we will become “depressed.” There is a plague of depression in our society today. I realize that some of this is caused by actual physical conditions or chemical imbalances in the brain, but a great deal of it comes from being focused only on what’s happening “under the sun.” Without the assurance of a life beyond this world with a kind and loving God, there is a tendency to think, “We know death is coming anyway, so we might as well stop living now and get used to it.” That’s the view “under the sun.” But “over” the sun – “above the sun” – God wants us to enjoy life and have peace and hope and contentment. Ye are blessed of the LORD which made heaven and earth. The heaven, even the heavens, are the LORD’S: but the earth hath he given to the children of men. The Lord does want us to have fun – but with Godliness. And He wants us to be content! To “arise” means to get up – to get moving – to stir, and to get busy. When Jesus got ready to recruit disciples, He had been preaching repentance and the Kingdom of God, but when He called disciples, He didn’t give much of a sales pitch. “Follow me,” He said. Have you ever wondered why they did it? The answer, I think, lies not in the command “follow.” There’s no shortage of people who want to tell you what to do – to give you a command. The answer lies in the “Me” – that short little two-letter Word is more than just the direct object of the sentence. The ME is the King of Glory – the Son of God – the Prince of Peace – the God over all gods – the King over all kings – the Maker of Heaven and of Earth – the Alpha and Omega – the Author of Salvation. They really didn’t need the “follow” to be convinced. All we really need is the “ME.” When you begin to understand the greatness of Jesus – His infinite worth – you want to – no, you have to – be with Him. And you put the Person – “Me” – together with the “follow,” and you’ve got a Person and a Path. The disciples followed, and it seemed great at first. Matthew 4 says Jesus did miracles. He healed the sick and fed the hungry, and gave sight and the ability to walk. And they became famous, and crowds followed, and people loved them – as if someone said, “Here, free candy – just for coming to church.” Most everybody likes candy. Why? Because it’s sweet. It doesn’t require much effort. It sort of melts in your mouth. But once in a while you get a surprise – a different kind of candy – the kind of candy that, when you say, “Hey, you’re giving me candy, I’ll follow you” – suddenly things turn sour. Jesus says, If you’re going to follow Me, sometimes things are going to get sour. Sometimes you’re not going to have a bed or pillow or shelter. Sometimes you’re not going to be able to be loved by your family. Sometimes you’re not going to be able to do all the things you want, because you are a follower – and a follower follows a leader – and a leader is in charge – in command. When a leader says, “Let’s go, you don’t have time to bury your father – let the dead bury the dead – we’re following hard after my Father now…” Do you spit it out? Give up? Too sour? Not what you bargained for? Or do you just keep sucking it up – knowing that one day things will be sweet again – sweeter than ever? I hope – when things in your life seem too hard – too hard deal with the way a Christian is supposed to deal with them – the way the Bible says to deal with them – that you’ll remember this simple little lesson – you’ll remember Who you are following. Don’t shy away from doing the hard thing. Jesus – if you are really His – loves you even when you taste bad. He is worthy to be loved and followed through any circumstances, trials, troubles, and hardships. So shall not the inheritance of the children of Israel remove from tribe to tribe: for every one of the children of Israel shall keep himself to the inheritance of the tribe of his fathers. And every daughter, that possesseth an inheritance in any tribe of the children of Israel, shall be wife unto one of the family of the tribe of her father, that the children of Israel may enjoy every man the inheritance of his fathers. Naboth, years later, was the patriarch of one these families in one of these tribes. A patriarch is the male leader of a tribe. Naboth’s vineyard had come to him, through his forefathers, directly from God. It was really God’s vineyard. Naboth was a steward over it for God, and for the good of those that God had placed into his care. Every one of us are stewards over the gifts God has given us, and we are to use these gifts to help others, so that God is glorified. Naboth had a command from God: Keep this land in your family. He had a blessing from God: You may enjoy this land. We have every reason to believe that he did enjoy it. Perhaps in his own childhood, he had played there. Perhaps his wife’s family had worked and played in this vineyard. Perhaps Naboth and his fathers and sons had driven out lions and foxes from this vineyard. Perhaps Naboth enjoyed watching his own children frolic in the rows of grapes, and play in the soft fertile dirt. I call Naboth the Pious Patriarch because when there was a strong temptation to do what was easy, Naboth, instead of doing what was easy, did what was right. But he did so because of a devotion to God. And it came to pass after these things, that Naboth the Jezreelite had a vineyard, which was in Jezreel, hard by the palace of Ahab king of Samaria. And Ahab spake unto Naboth, saying, Give me thy vineyard, that I may have it for a garden of herbs, because it is near unto my house: and I will give thee for it a better vineyard than it; or, if it seem good to thee, I will give thee the worth of it in money. And Naboth said to Ahab, The LORD forbid it me, that I should give the inheritance of my fathers unto thee. Saying no to a king is a dangerous thing. Saying no to certain people today – saying no to certain things – can seem very dangerous to us. It can be very difficult. Someone might tell you the same thing Naboth was told: “Give up what God gave you, and you’ll get a fair price for it.” Or, “You’ll get something better in return.” How much more popular could you be with your friends if you would sell your purity – your devotion to God? How much more money could you make if not for having to attend, and serve in, church? How much more rest could you get? How many fun and entertaining things could you see and do? Naboth said no. He didn’t say, “In my childhood I played here. My wife’s family worked and played in this vineyard. My father and sons have driven out lions and foxes from this vineyard. I love to see my own children frolic in the rows of grapes, and play in the soft fertile dirt.” He didn’t say all those things, but he could have. Instead, he let it be known that he feared God more than the king. He loved God more than men. A “potentate” is someone with “power” – someone who is “potent:” a king, a ruler, an emperor. King Ahab is the “Pouting Potentate” in this account. … Ahab did more to provoke the LORD God of Israel to anger than all the kings of Israel that were before him. And Ahab came into his house heavy and displeased because of the word which Naboth the Jezreelite had spoken to him: for he had said, I will not give thee the inheritance of my fathers. And he laid him down upon his bed, and turned away his face, and would eat no bread. But Jezebel his wife came to him, and said unto him, Why is thy spirit so sad, that thou eatest no bread? And he said unto her, Because I spake unto Naboth the Jezreelite, and said unto him, Give me thy vineyard for money; or else, if it please thee, I will give thee another vineyard for it: and he answered, I will not give thee my vineyard. Ahab, the King of Israel, who had lands beyond number, who had livestock, gold, jewels, money, orchards, palaces, servants, maybe 100 vineyards, was pouting like a spoiled little baby – or an over-indulged teenaged child – because he couldn’t have one little garden of herbs right where he wanted it! Are we much better? Are we always wanting more? Do we worship things, or do we worship God? What is our energy devoted to obtaining? Clothes? Electronics? Cars? Nicer, more expensive luxuries? Or righteousness? But you say, “Devil, you can’t give me anything – because I have everything I could ever need or want in Christ Jesus! Vance Havner used to say, “What are you gonna do with a man like that?” You can’t give him anything because he has everything – and you can’t take anything away from him because he doesn’t have anything. You can’t head him off if you cut off his head! Ahab should have been arising. Rising up to praise God. But instead he was sinking down into a bed of sorrows – discontent, grumpy, pouting. In Part 2, we will see Jezebel enter the scene. My grandfather, Leslie Cassels, was 94 years old when he went home to be with the Lord. Although I never had a chance to personally witness it, he used to fascinate me with stories of how he and his father, uncles, and brothers would go fishing when he was a boy. Not having fishing rods or poles, they would wade into shallow, murky pits or ponds with relatively steep embankments. In the sides of the banks, well below the surface of the water, they could feel holes. Reaching into the holes, every so often, they would find a huge catfish lurking. Their technique was to suddenly seize hold of the fish, and attempt to wrestle it onto the shore bare-handed. The seizing was important, but it was only the beginning of the battle. When the Apostle Paul wrote to his apprentice, Timothy, whom he had left to fulfill the office of evangelist at the church in Ephesus, he had greater concerns than catching catfish. But it seems that some of the same principles applied. The Holy Spirit, speaking through Paul, was concerned about the battle for the faith. In this battle, Timothy was to “lay hold” on the doctrine of eternal life. In other words, he was to seize it and hold on tight. But, as with the prize of a big catfish, the laying hold was only the beginning of the fight. Timothy would have to struggle with three main types of enemies in his battle: (1) those who saw the freedom of the Gospel as a chance to rebel against the social order (I Timothy 6:1-2); (2) those that loved money (I Timothy 6:9-10); and (3) those who were proud of what they thought was their own knowledge, and who called it “science” (I Timothy 6:20). Let’s pretend that I offer you a sandwich, but you are not going to be able to eat it right now; you are going to have to save it for later. I offer you two options for preserving the quality of the sandwich before you stick it in the fridge. In one hand I have a beautifully ornate wrought-iron bird cage. It looks both sturdy and beautiful. In the other hand I have an ugly old Zip-lock bag. It looks flimsy and plain. Which are you going to choose? Obviously, you are going to choose the Zip-lock. Why? Because it has both integrity and character. 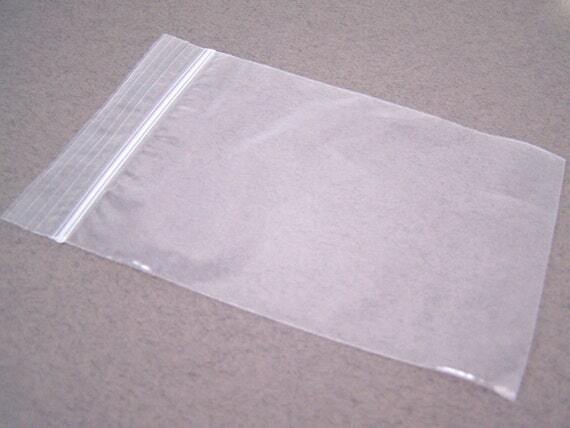 A properly sealed Zip-lock bag stops both air and water from getting inside. There is a “soundness” and a “wholeness” to a Zip-lock bag. It has integrity. Furthermore, you’ve had experience with bird cages (or a least containers made up of metal sections with gaps in between). You’ve also had experience with Zip-lock bags. Zip-locks have kept a many of your sandwiches fresh before. Zip-lock bags have character. God wants His people to have both integrity and character. He wants us to be sound, and to be known for being sound. Who does not want you to be be “sound?” Who wants you to look strong and sturdy at a glance, but to prove unfit upon further inspection? Who wants you to try to act like something you are not, to be a fake? Your enemies, that’s who: the devil, the world, and your flesh. The Bible doesn’t have much good to say about “the world” once you get past the part where God made it and saw that it was good. It’s been pretty much negative since then (Romans 12:2; I Corinthians 2:12; II Corinthians 4:4). The “world” is the Bible word for the point of view of those who don’t love God. They don’t necessarily admit that they hate God. They will claim that they would rather just stay on their side and let the Lord stay on His. But there’s one thing that really motivates the world to get proactive – to start campaigning against God: greed, the love of money (I Timothy 6:10). Here’s a good example. After World War II (1945) there were lots of young people getting to do things they’d never done before. This engendered a certain fear – the fear of “juvenile delinquents.” This kind of fear is not good (II Timothy 1:7). Adults would see something broken or defaced in public, and would start defaulting to, “It must have been those kids…” meaning teenaged kids. This kind of thinking led to polls. The polls led to an identifiable market. Manufacturers starting producing things like “teen” toys, “teen” dolls, “teen” magazines, “teen” movies, “teen” TV shows, and “teen” clothes. Most of these products were focused on the idea of making kids think ahead to when they would be “older,” and subtly sending the message that it was a good thing to strive to act like they were older than they really were. You can witness this phenomenon going on today with pre-teens (the media calls them “tweens”). The suspicion of adults and the influence of marketing led to teenaged kids becoming experts at duplicity. Duplicity is the opposite of integrity (James 1:8). Eddie was duplicitous, even though he never really fooled Mrs. Cleaver when he gushed over her “beautiful dress.” Today, teenaged kids are smarter than Eddie. Most parents would faint if they really knew what CDs their kids listen to, what movies they watch at sleepovers, what’s really posted, but set to private, on their social networking sites. But God knows. He knows that their integrity is damaged. And other people know, even if the parents don’t – and that has damaged their character. David (pre-Bathsheba) is a good example of character and integrity. I Samuel 16 is mainly about David being anointed king and playing his harp or lyre for Saul. Chapter 17 is mainly the account of David and Goliath. David was probably about 15 or 16 when he was anointed, and probably close to 20 when he killed Goliath. David was not slothful in business (Romans 12:11; I Samuel 16:10-11). He was keeping his father’s sheep. He was fervent in spirit (Romans 12:11; I Samuel 17:34-35). He risked his life to protect what God had given him. He was serving the Lord (Romans 12:11). Let’s look at David’s character in this verse. These are the things David, even as a teenaged child, was known for – what Proverbs 22:1 calls his “good name.” He was cunning at playing (musical talent). He was mighty and valiant (known for overcoming problems). He was a man of war (a good fighter, someone who stands up for what is right). He was prudent in matters (smart). He was a comely person (good-looking). Is the Lord with you? (Integrity) Do other people recognize that the Lord is with you? (Character) Both are important to God. If you are a born-again child of God, saved by grace, though faith in the Lord Jesus Christ, you have been entrusted with a great treasure. What is this treasure? It’s the Gospel message! We have a responsibility to be keepers of, and stewards over, this treasure. That means we are to protect it, and put it to work, spreading it around, and causing it to multiply. In our finite minds we might wonder why Almighty God would ever entrust something as important as the Gospel into the care of the frail and faulty care-takers we so often are. However, God in His wisdom decided that such an arrangement best serves His glory. In Christ’s parable of the faithful and the unfaithful servants found in Luke 19:11-27, we see that all the servants were given a treasure. The ones who recognized the importance of this treasure were rewarded. We must never fail to recognize the significance of working for Christ. We do not work for our salvation, but as faithful stewards, we certainly ought to work because of it.